Congratulations to Bro.T. Charles and Bro. R. Miller for being Initiated into the into the Ancient art of Freemasonry. Please come out and support our lodge as we grow!!!!!! Congratulations to Bro. Clint McCrary for being Passed and to Bro. Nate Lyttle, The newest member of the PHAmily!!! The Derwin Brown Masonic Lodge will be helping the Gresham Partk recreation center for their Halloween event on October 31st from 6:00 pm until. This is a friends and family event. 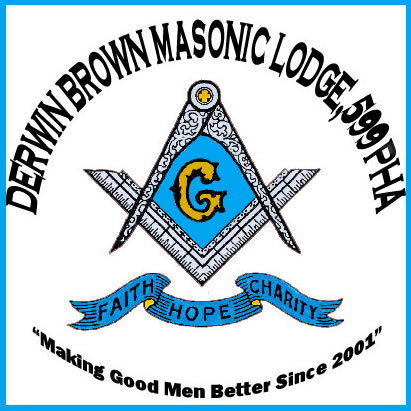 "THE Derwin Brown Remembrance Week"
THE Derwin Brown Masonic Lodge will be hosting a Black (Men) and Red (Women) ball. This ball is to serve as a GRAND FINALE for the "THE Derwin Brown Remembrance Week". The Cost will be $15.00 for a single ticket and $25.00 for a couple (1 man & 1 woman). THERE WILL BE A BAR AVAILABLE FOR REFRESHMENTS. Proceeds will go to help THE Derwin Brown Lodge fund future community projects. Let us not ever forget this day, as it will forever be in our minds, hearts, spirits, and work. We will have a community day at the park. FREE HAMBURGERS AND HOT DOGS to everyone in the community that comes. We will give away some food baskets for those that are in need. At sun down, we will leave and lay a reef then have a short candle light prayer visual at the grave site.